Windows Server Core installation option is good enough such that Windows administrators should standardize all of their servers to run as Core. It makes sense that the fewer operating systems you have present, the better your performance and the smaller your system attack surface. As of the 1709 update,Windows Server 2016 (semi-annual update channel) no longer allows you to add the GUI layer to a Server Core installation. 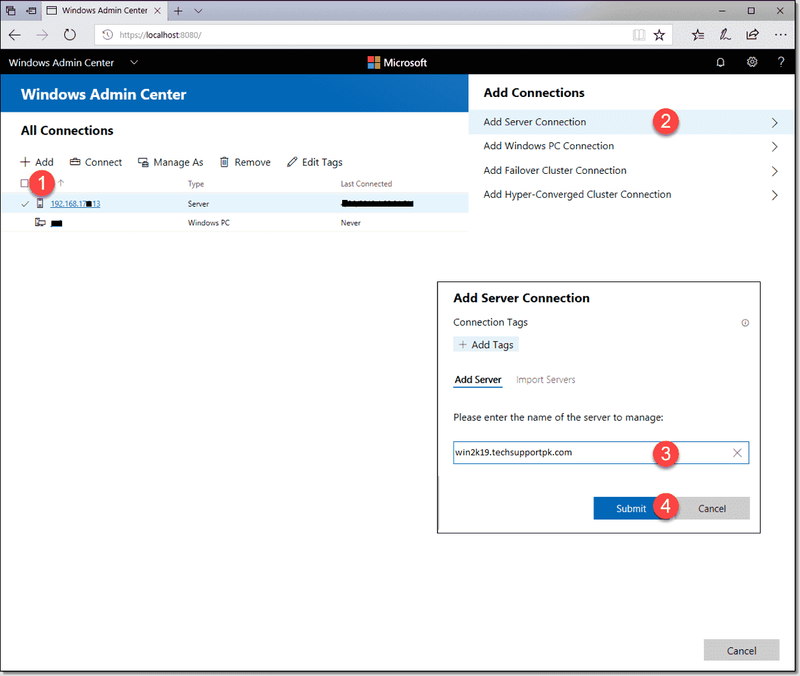 In this tutorial, we'll guide you how to manage your Windows Server 2019 using Admin Center, PowerShell Core and sconfig utility. Windows 2019 Server Core does not have a Desktop GUI, so you need to navigate using command-line tools. 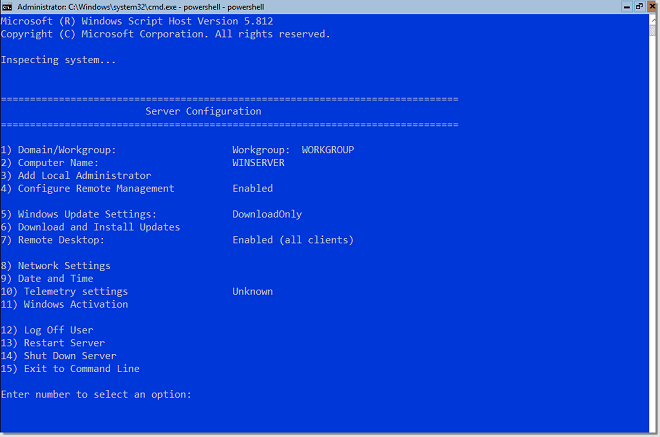 After you log into the server, type sconfig to open the sconfig.cmd configuration utility, as shown in image below. 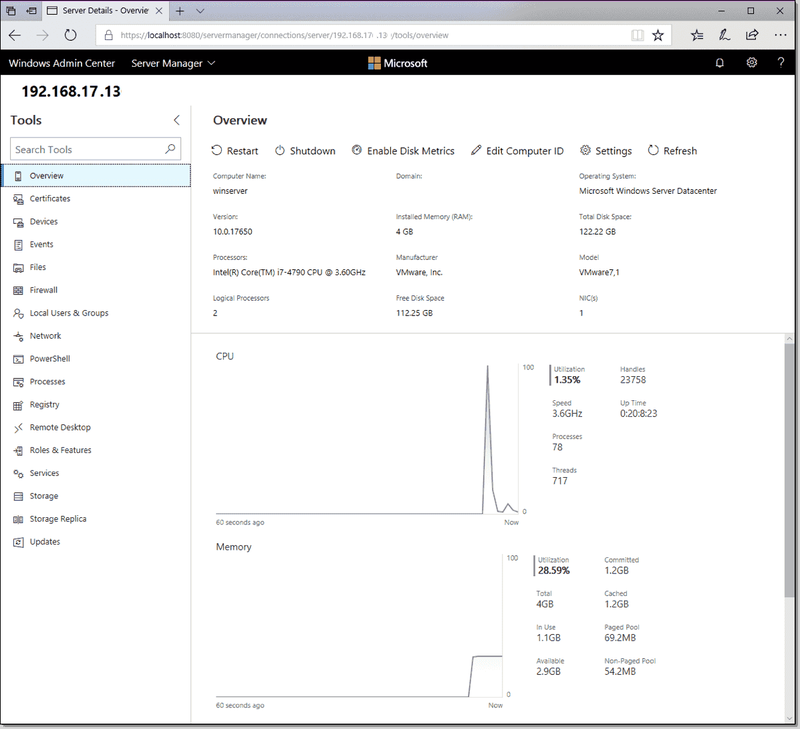 Windows Admin Center, formerly called Project Honolulu, has been a long time coming in Windows Server. We'll install Windows Admin Center in Desktop mode on our Windows 10 administrative workstation. Download the software, run the .msi installer, and select a management port. 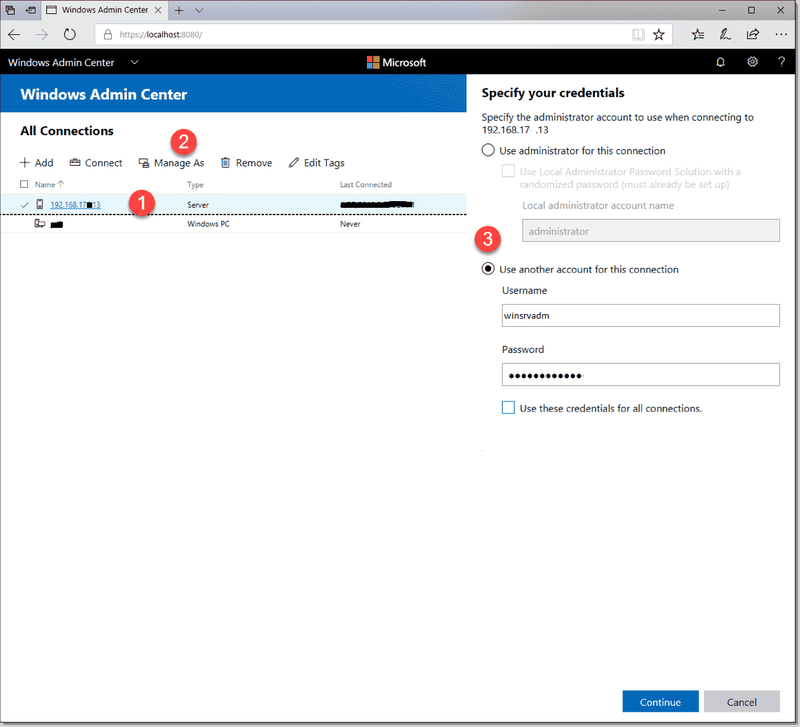 Windows Admin Center can manage Windows Server 2019, Windows Server 2016, Windows Server 2012 R2, and Windows 10 hosts from a central web console. On first launch, be sure to accept the self-signed management certificate as shown in the image below. 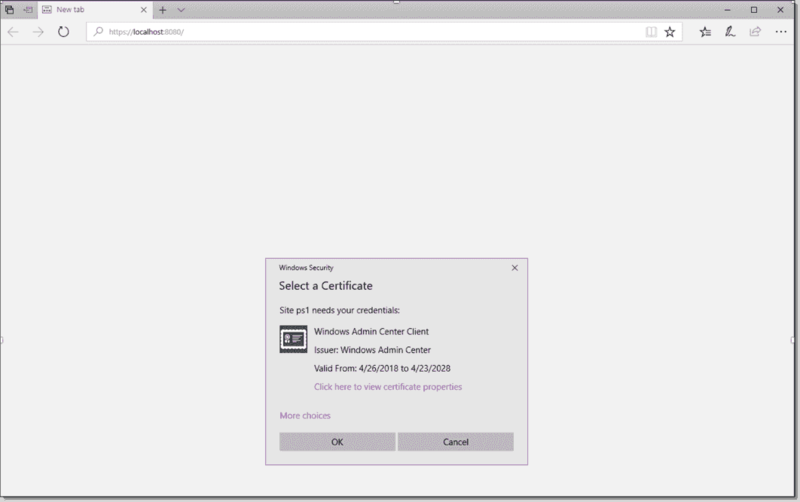 Click Add, select Add Server Connection, specify the DNS name or IP address of your new Windows Server 2019 host, and click Submit. Finally, you reach the Server Manager installed solution as shown in image below. I am sure, once you go-ahead with browser based Windows Admin Center, you will never use the Desktop GUI with Windows Server ever again.